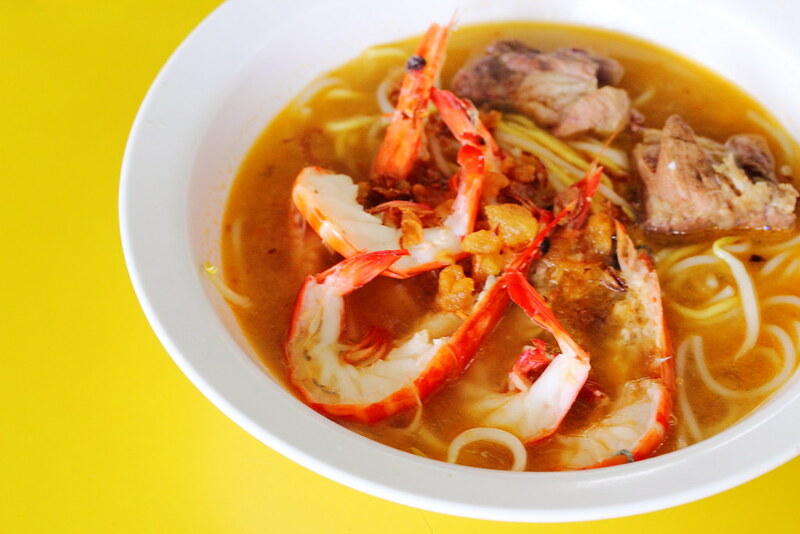 SG Food on Foot | Singapore Food Blog | Best Singapore Food | Singapore Food Reviews: Ah Hui Big Prawn Noodle @ Kovan Food Centre - Famous Long House Prawn Noodle Opens 2nd Outlet. Ah Hui Big Prawn Noodle @ Kovan Food Centre - Famous Long House Prawn Noodle Opens 2nd Outlet. 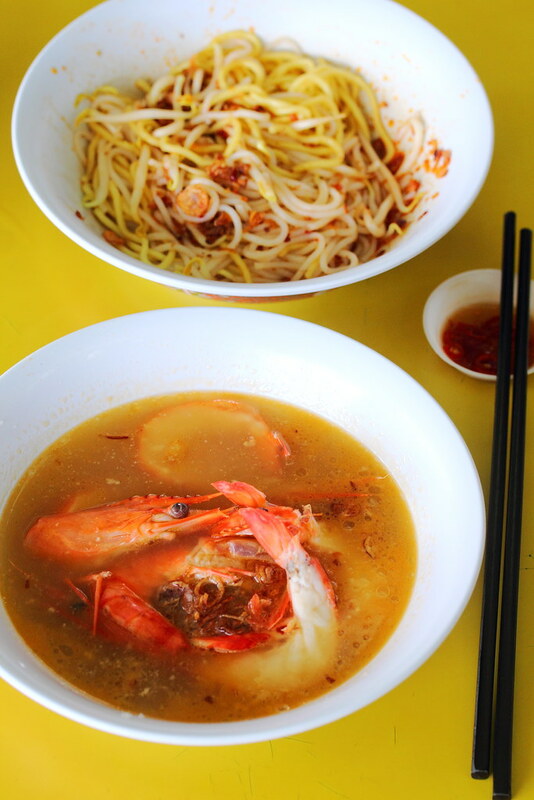 The famous long house Ah Hui Big Prawn Noodle at Balestier Food Centre has opened a new outlet at Kovan Food Centre. The Kovan branch is helmed by the founder himself Mr Tan Ah Hui. A slight different here to balestier stall is the use of tiger prawn instead of angka prawn. The Prawn Noodle Dry ($5) comes with the noodle and prawn separated. 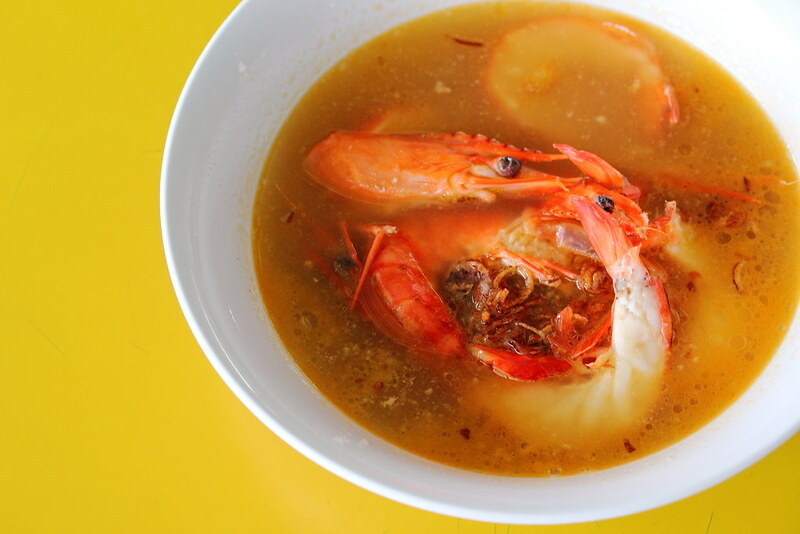 Five huge halved prawns can be found in the flavourful soup. I was telling my dining partner that the soup tasted somehow different from the balestier branch. It is more herbal here. The other highlight of the prawn noodle dry hae bee hiam sauce that is added to the noodle. 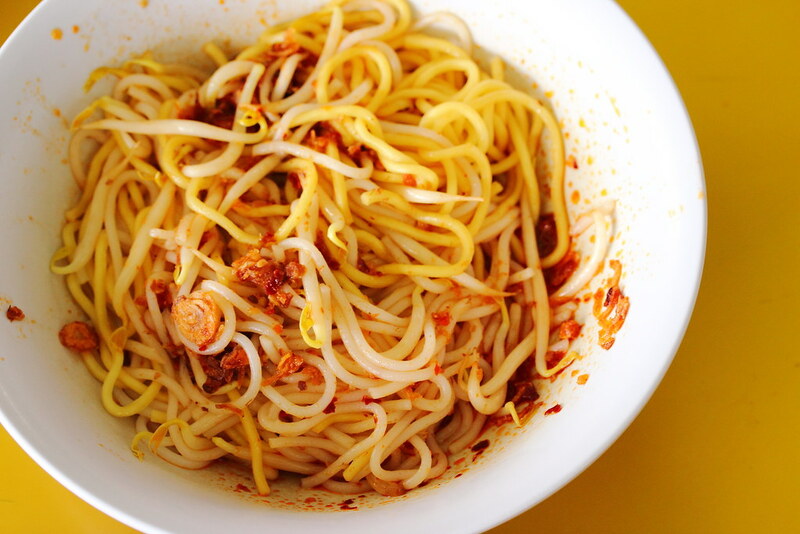 Instead of the usual chilli sauce or oil, the hae bee hiam further accentuated the whole enjoyment of the noodles with its savoury and spicy kick. For an additional of $1, we can add pork ribs to our prawn noodle. Besides the flavourful herbal soup, the topping of pork lards and fried shallots enhanced the whole flavour. 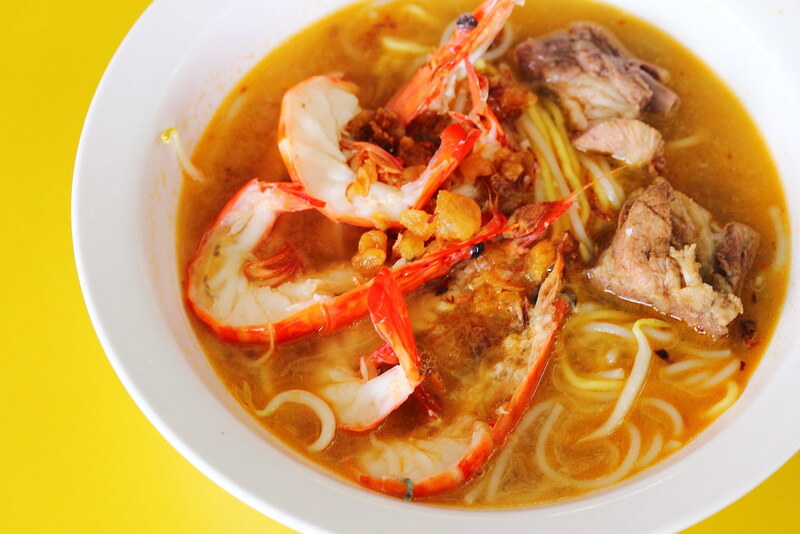 It is great to know that Ah Hui Big Prawn Noodle has expanded their business and opened a second outlet at Kovan Food Centre. It means more people can taste the bowl of delicious prawn noodle.